Are you currently on a quest to find the number one LGV training company in the business? Good news – you can stop searching now that you have found Wayside Transport. Our comprehensive service and teaching method is guaranteed to lead you to driving success and provide you with useful new job opportunities. Give us a call today on 01202 873 911 to book! If you have been looking for a reliable LGV training business who can steer you in the right direction with a fully covered approach, you have come to the right place. Here at Wayside Transport, we are well-known for offering training methods and practical experience that will make you an expert driver in no time. Whether you are wishing to retrain as an LGV driver, undertake CPC training or specialise in PCV training, we have got you covered. We are able to share our expertise and train you regardless of your current skill level and qualifications. We cover a large area that includes Dorset, Hampshire, Devon and Wiltshire. Even if you are based further away, do not hesitate to get in touch as we may still be able to facilitate. We would encourage you to read through some of the testimonials on our website to see why we are the number one LGV training center in four counties. We are very happy to have accumulated a customer base who have been benefitted from our services and recommended us to their friends, colleagues and family members. Why choose Wayside Transport as your LGV training company? For organisations looking for an LGV training company, our training methods are guaranteed to produce responsible drivers that will be able to benefit your organisation with their newfound skills. Depending on the circumstances, we may even be able to offer training at your premises – please get in touch with us and we will discuss your requirements in some more detail. 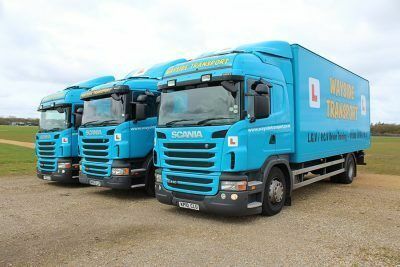 In case you’re an individual looking for the perfect LGV training company, you will already know how much demand there is for drivers with this particular qualification. Wayside Transport is the perfect establishment to get you started. Not only will we help you get your licence quickly and efficiently, we will create a full foundation for you to become a well-rounded and professional driver for life. We also train people in driving car trailers, minibuses and ambulance vehicles. There are several ways that you can get in contact with Wayside Transport to book your course with our accredited LGV training company. We are open from 7:30 AM to 6 PM, Monday to Friday – do not hesitate to call us between those hours on 01202 873 911. Alternatively, just fill out the simple form on our website and we will get back to you as soon as possible via your preferred contact method to advise.